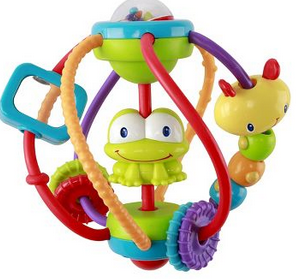 Through 4/15, Target is offering B1G1 50% off on select baby toys. This deal is valid in-store and online. 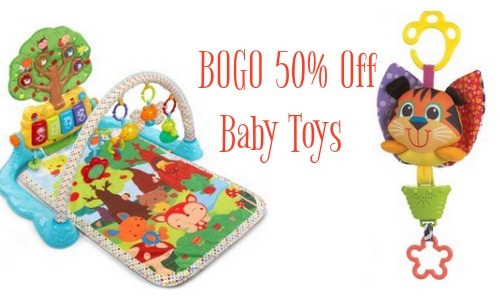 Even better, you can get an extra 10% off select baby items when you use coupon code BABY10 at checkout! 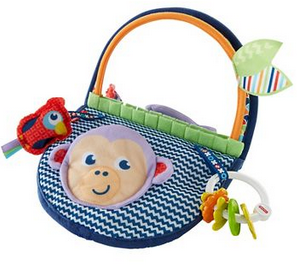 If you prefer to shop in-store, you can load a 10% off Infant and Baby Toys Cartwheel offer. Offer valid through 4/15. Shipping is Free with Redcard.